“Our main agenda is to have all guns banned. We must use whatever means possible. It doesn’t matter if you have to distort facts or even lie. Our task of creating a socialist America can only succeed when those who would resist us have been totally disarmed”. In 1993 there were 185 million guns in the hands of the American people. Ahh 1993, the good old days. Back when Ted Kennedy still had the nerve to try to take guns from law-abiding citizens, while most law-abiding citizens were still wondering how Ted Kennedy escaped prison after drunkenly driving Mary Jo Kopechne off of a bridge on Chappaquiddick Island in 1969. After saving himself he left her to die alone in an upside down car rapidly filling with water. It was later determined that because of air pockets in the car Kopechne likely lived for several hours after their car plunged into the shallow water after Kennedy cowardly left her to drown. Many believed had Kennedy not delayed contacting authorities for 10 hours, Kopechne surely would have survived. *Any dreams that Ted Kennedy or his Marxist handlers had for the presidency died that night with Mary Jo in that tide-swept pond on Chappaquiddick Island. *Sadly, Democrats would send creepy Ted back to the Senate for 3 more decades. In 2013, 20 years later, there were 357 million guns in the hands of law-abiding citizens, reported Mark J. Perry from ALDeas.com. That is a 56% increase in the number of guns in America. During this same period, gun violence between 1993 and 2013 incredibly was down nearly 50%. In 1993 there were 18,253 homicide deaths. In 2017, with more than twice as many guns in circulation, there were 15,545. The coverage these shootings receive give the public the impression that gun violence is out of control when in fact gun crime is way down and overall crime is heading down. Crime and homicides are higher in areas with strict gun control. I believe the accused Parkland shooter is a patsy, but if you still buy the official story, how was a kid on everyone’s radar from the FBI, the local police, Child Protective Services, to his high school teachers and administrators, and even the secret service who were at the school weeks before the shooting, able to pull this off? Like San Bernadino, 911, Charleston, the Boston Bombing, and many other attacks there was a drill scheduled for exactly what happened that day. the Parkland school had a live action shooter drill scheduled the day of the shooting. I wonder how many other high schools have had surprise live shooter drills this year? I’m guessing none. Do you really believe this could have been avoided by taking weapons out of the hands of hard-working, decent, law-abiding citizens who want personal protection for themselves and their families? 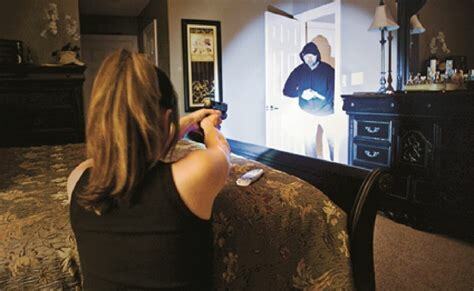 *It is estimated that Americans use a legal gun 2.5 million per year to prevent a crime or defend themselves in a confrontation with a criminal. Twice as many guns, half as many gun crimes. Got that? Even the Common Core kids should be able to grasp that. *About 5 years ago Congress did a study that showed murder rates were plummeting while gun ownership and sales skyrocketed. Could this mean that maybe an armed-to-the-teeth society is a more polite society? I think it does. The plan is well underway and appears to be going great guns as the Marxists on the left are now employing children to do their bidding. Not since the Children’s Crusade have so many children been so exploited, and look at what a disaster that turned into. *Gun violence has been decreasing significantly for decades and the data shows that the last 25 years could possibly be the safest in modern history. So what is really going on? Why the frantic calls for the guns when statistics don’t support the hysterics? The fact that David Hogg’s father Kevin worked for the FBI is suspicious because the bureau has been involved in a number of false flags attacks over the years including the Boston Marathon Bombing. Most people aren’t aware that there was a bomb drill in Boston that day that went live with the “Patsy’s”, the Tsarnaev brothers, set up to take the fall. Tamerlan Tsarnaev was being handled by agents in the Boston FBI office for over 2 years before the bombing. The back packs used in the bombing were black. Neither brother carried a black back pack. This is the same Boston FBI office that protected Irish mobster Whitey Bulger for years while doing illicit deals and putting innocent men in prison with the help of a young US Attorney in Boston named Robert Mueller. Yes, that Robert Mueller. Sounds like the perfect guy to set up a false flag school shooting to be blamed on a patsy who appears to be drugged and/or under hypnosis at every court appearance. Son David originally said that he was in class when the shooting started but recently admitted that he lied about that. He’s no doubt been forced by someone to come clean, or why would he? He’s now admitted he wasn’t even in the school at the time the shootings started. He now says he was at home when he heard about the shooting and raced 3 miles to school on his bike. What! This kids father is an executive in a town with a median income of $150,000 where David Hogg is a senior in High School, and he rides a bike to school? I just don’t believe a word this kid says. It was just revealed that the father of accused Orlando shooter Omar Matteen, Seddique, worked as an informant for the FBI for 11 years. Tyler Durden with Zerohedge.com reported that Omar worked for G4S Security, the worlds largest security firm that does work for the US Government and is known to transport illegal aliens from Mexico to the US. Matteen had been questioned by the FBI 3 times before the Orlando shooting. Are these people slipping through the cracks or being helped through by the FBI? These anti-gun protestors are like the clueless Texans who voted for George Bush when he ran for Governor against incumbent Texas Governor Ann Richards on a message of lowering Crime. Richards pointed out that crime was actually down quite a bit overall since she became Governor, and she was right. But no one listened. Karl Rove, Bush’s “brain”, made up his mind, no matter how ludicrous, that lowering crime would be their campaigns main issue and ran hundreds of ad’s telling voters how horrible the crime rate was under Richards, no matter how untrue. Bush won because of a lie repeated over and over on ads run morning, noon, and night. Like Bush, who needed an issue to highlight his rudderless campaign, the Democrats are badly in need of direction. The gun control issue will be the issue the Marxist on the left will pound moving into the mid-term elections. Never mind the inconvenient statistics. Damn the torpedos, full speed ahead. Gun shows on TV are being canceled and YouTube is taking down gun videos as I write this. None of what these so-called child activist say is going to sway anyone with a pea size brain in their head, but the Jewish owned Cable News liars still have influence, and the majority in this country are simply not paying enough attention. The purge of video’s and Conservative sites is part of the plan. These nationwide anti-gun marches are organized and well funded by Jewish billionaires George Soros and Michael Bloomberg. Every Jewish member of the Congress and Senate is anti-gun and every Jewish Supreme Court Judge is anti-gun. Justice Ruth Bader Ginsberg has said she wants to tear up the Constitution. Notice a pattern here? Have you noticed that it is the Jewish Democrat leadership in the Congress and Senate who are leading the charge to impeach Trump, open the borders, and are all shameless gun grabbers to boot? Adam Schiff, Chuck Schumer, Diane Feinstein, Bernie Sanders, Ben Cardin, Brad Sherman, Jan Shakowsky, Debbie Wasserman Schultz, Jacky Rosen, Jerry Nadler and Steven Cohen to name only a few. *Debbie Wasserman Schutz is now calling for background checks to buy ammo. Shouldn’t she be in prison? Why do these people want our guns so badly and why do they have such animus toward this president? After the Columbine shooting William Cooper said, these “Gladio” style attacks would continue and become more frequent until the ignorant masses begged to be disarmed. Is that where we are? History shows that all totalitarian regimes begin with gun confiscation. Right now gun owners either aren’t worried or aren’t paying attention and that’s a mistake. Will the American public be swayed by a bunch of child actors, reading scripts written by traitors who want to take your guns, before they announce they are gutting the rest of the Bill of Rights? These shootings are all as well planned and organized as the anti-gun marches. Do our controllers want chaos and civil war? It makes you wonder if the same people are planning both. Patrick J. McShay is a writer and researcher whose articles have appeared on thetruthseeker.co.uk, rense.com, whatreallyhappened.com, operationdisclosure.blogspot.com, themilleniumreport.com, stateofthenation2012.com, sgtreport.com, blacklistednews.com, abeldanger.org, conspiracy-cafe.blogspot.com, theeventchronicle.com, beforeitsnews.com, rumormillnews.com and davidicke.com. *His articles have been translated into numerous languages including German, Spanish, French, Chinese and Dutch.